The Dardenne brothers consistently make compelling dramas that win awards, from Rosetta (1999) to The Kid With a Bike (2011), and this drama might be their best yet. It takes a simple premise and twists it into a comment on the changing structure of global society, all while never losing the intensely personal perspective. It's never a statement film, but it says much more than movies that shout their messages loudly. The central character is Sandra (Marion Cotillard), who has just returned to work after an emotional breakdown. Then she's left stunned when her boss (Baptiste Sornin) calls a vote on a Friday afternoon, and employees choose to make Sandra redundant so they can keep their €1,000 bonuses. Her friend Juliette (Catherine Salee) gets the boss to agree to re-run the vote on Monday by secret ballot, which gives Sandra the weekend to sway people to save her job, which she desperately needs to keep her family afloat. Her husband Manu (Fabrizio Rongione) accompanies her on this degrading task, begging her colleagues one by one to give up their cash for her. And it's almost more than she can bear. For every thrilling surge of compassion she feels, there's another worker who coldly refuses her pleas. Jean-Pierre and Luc Dardenne based the film on a real scenario, which is awful to imagine. Indeed, most of the film's characters express horror at the unfairness of the situation, but Sandra and Manu just have to get on with things in a matter-of-fact way that grounds the film in earthy emotion and, thankfully, wry humour. Cotillard gives another fully invested performances as a woman barely keeping a grip on herself, let alone finding the reserves needed to take care of her kids. She hides her true feelings from everyone as long as she can, and her main flaw seems to be an inability to see that she has a husband and colleagues who genuinely care about her. She's not facing this seemingly hopeless situation alone. 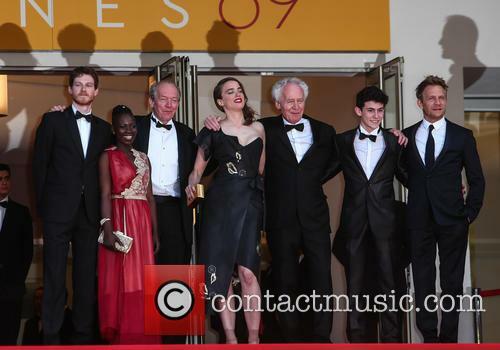 ‘Two Days, One Night’ (‘Deux Jours, Une Nuit’) has gained positive reviews from the world’s press following its premiere in Cannes yesterday (20th May). 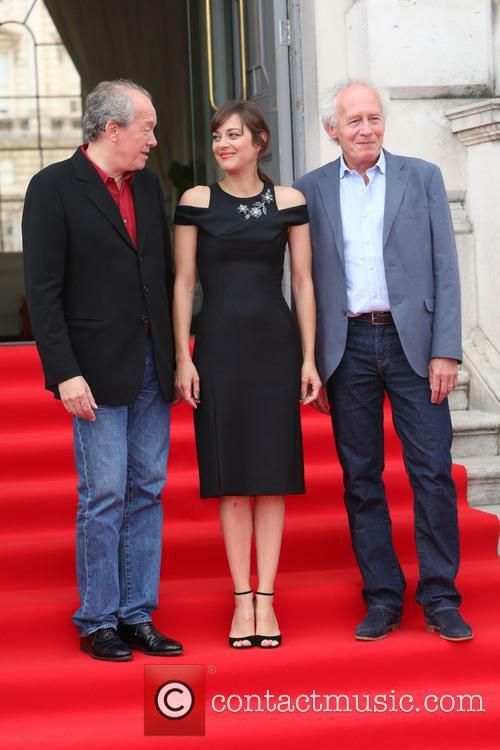 Marion Cotillard has impressed critics with her performance in Two Days, One Night ‘Deux Jours, Une Nuit’ after the film premiered at the Cannes Film Festival on Tuesday (20th May). 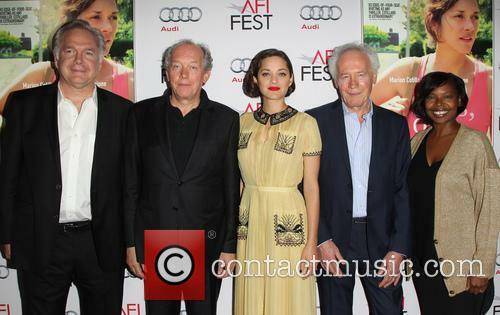 Marion Cotillard shined as much in the film as at the premiere of Two Days, One Night. The film centres on Sandra (Cotillard), a working class woman who, with the threat of unemployment looming, is forced to ask her colleagues to give up their bonuses so she can keep her job. Sandra is aided in her quest by her husband Manu, played by Un village français actor Fabrizio Rongione. Fair warning! Don't eat a big meal before you watch Rosetta. If you thought the handheld camera motion from The Blair Witch Project was bad, you'll be stumbling out of this one with a splitting headache and nausea that only Dramamine can prevent or projectile vomiting can cure. At least in Blair Witch the technique served a purpose that added an element of mystery to the film. Rosetta, on the other hand, was so dull and convoluted that the hand held style fails miserably in its attempt to create a "realistic atmosphere." Directors Luc and Jean-Pierre Dardenne should issue a warning for theaters to block off the first eight rows of every location that this movie opens so that nobody gets too close to the screen, plus they ought to provide those handy little barf bags, just in case you have a weak stomach like me. Rosetta, played by newcomer Emilie Dequenne, is a seventeen year-old adolescent suffering through a miserable life in Seraing, Belgium. She lives in a trailer park with an alcoholic mother who prostitutes herself for booze and food. Her home barely has running water and cannot even provide shelter from the cold wind. Despite her horrid circumstances, the film chronicles her incredible perseverance and strength as she attempts to get a job that will provide food and rent money for her desolate family to survive. The Son, co-directors Jean-Pierre and Luc Dardenne's follow-up to 1999's Cannes Palm d'Or winner Rosetta, is a thriller unlike any I've seen before. Its uniqueness comes from the fact that it's not a suspense film in the traditional sense - what keeps the tension at a fever pitch is not the narrative's progress, but the inscrutability and unpredictability of its protagonist, Olivier (Dardenne mainstay Olivier Gourmet, whose coiled performance won Best Actor at Cannes). A carpenter working at a juvenile vocational training center, Olivier is a meticulous, solitary craftsman who seems to live inside his own head. Not surprisingly then, the Dardenne brothers compose their film almost entirely from behind Olivier's cranium. The effect of such a visual approach is one of delightful sneakiness, as if what we're witnessing are surreptitious glimpses of the man's actual life. With our gaze positioned directly over his shoulder - providing us with an all-too-intimate familiarity with Gourmet's ear hair - the Dardennes force us to assume Olivier's subjective worldview. Still, despite our proximity, scarcely anything about this strange man is initially decipherable. He's a quiet, pensive individual with a gift for measurement - he can scarily deduce the distance between any two things just by looking at them - living a life of stultifying nothingness. The filmmakers, however, take great pains to explicitly tell us as little as possible about Olivier. Most of what we learn about his personality is revealed not courtesy of high drama but instead through watching him perform mundane daily rituals: helping his students with their carpentry assignments, cleaning his clothes with an air blower after a day in the workshop, doing sit-ups on his barren kitchen floor.